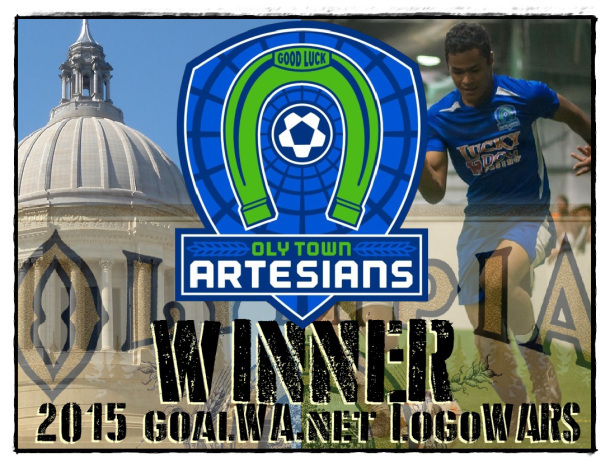 OLYMPIA, Wash. – The Oly Town Artesians knocked off the Kitsap Pumas in the final round of goalWA.net’s LogoWARS to capture the crown of top soccer logo in the State of Washington for 2015. The voting was extremely close with the two teams tied with less than 2 1/2 hours left before Artesians supporters rallied across social media to push them to a resounding 59%-41% win. 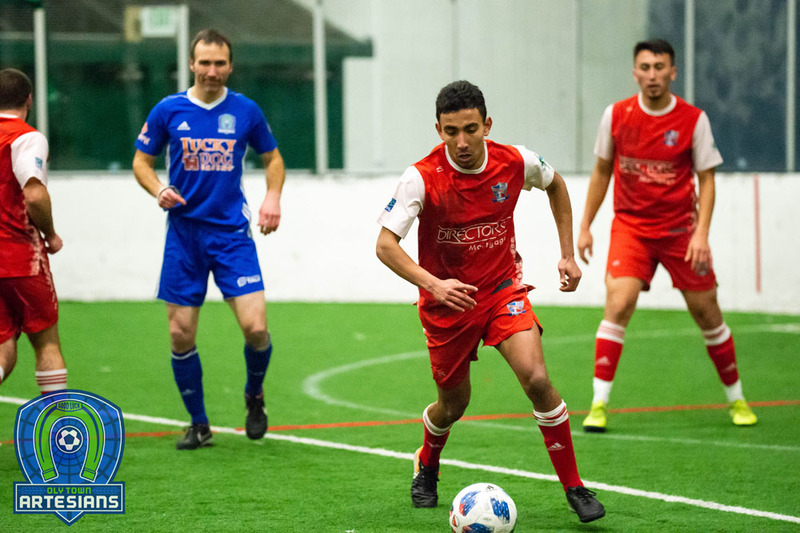 Designed by team founder and general manager Brandon Sparks, the Artesians logo took out the Spokane Shadow, Seattle Sounders FC, Everett United FC and the Pumas en route to the victory. 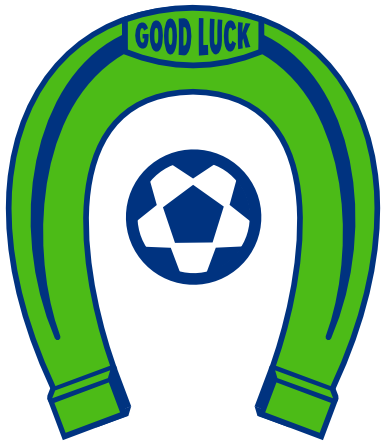 Oly Town joins Bellingham United (2014) and Yakima United (2015) as LogoWARS winners. 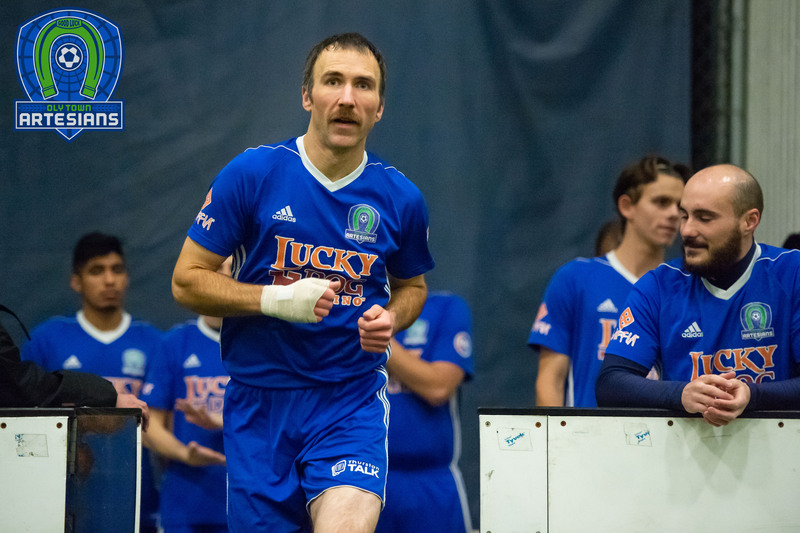 Founded in 2014 before the inaugural Western Indoor Soccer League season, the Artesians have amassed 649 Facebook and Twitter followers in less than a year and rallied every last one of them to defeat four teams that have a combined 828,482 followers. 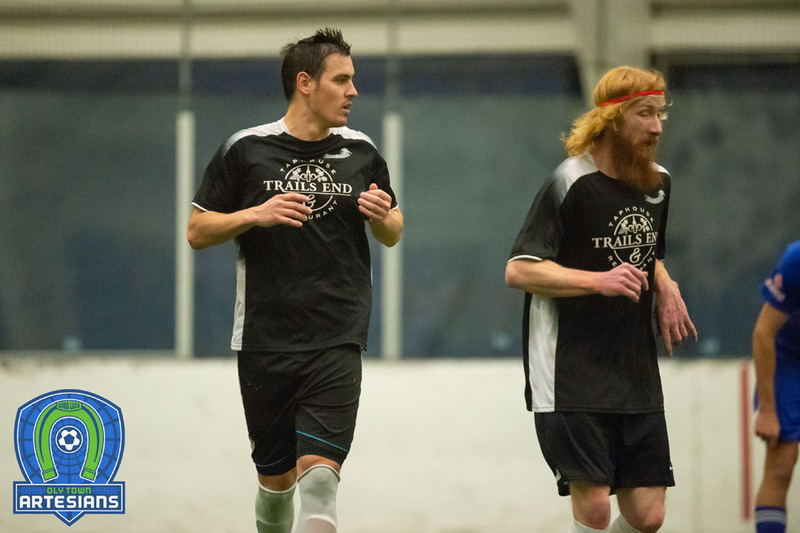 The 2015-2016 WISL season approaches quickly and the Artesians are still working on a home field to play this season after the building that housed Oly Indoor Soccer was sold in June. An announcement about where the next season will be played is likely coming within the next month. Stay tuned to OlyTownFC.com, @OlyTownFC and Facebook.com/OlyTownFC for more information. For merchandise featuring the 2015 LogoWARS champion logo, visit our online, on-demand store at http://www.zazzle.com/oly_town_artesians.